Covering your basics, this convenient and comprehensive backpack cooking kit made with a lightweight aluminum alloy pairs an alcohol stove with two nonstick saucepans, a smaller nonstick frying pan, and a kettle. The full kit packs light and compact, so it won’t weigh you down in travel. 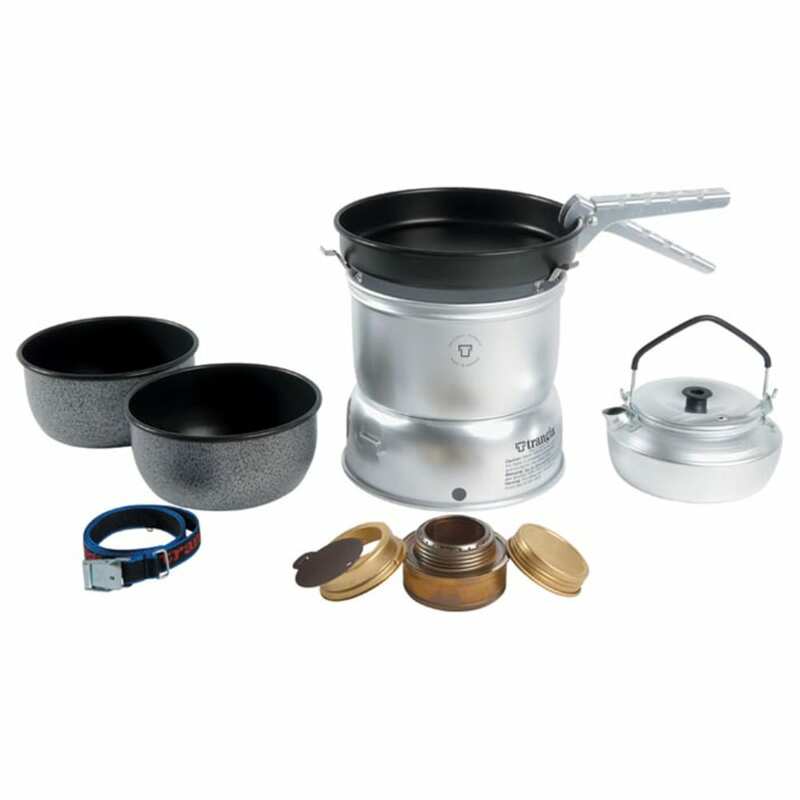 With a stove, two 1L ultralight aluminum saucepans, graduated and ungraduated, a 7.25 in. nonstick frying pan, and a 0.6L aluminum kettle.